Limefuel the creators of awesomely powerful backup batteries has this week unveiled two new additions to its range in the form of two new Limefuel GoPro extended battery packs. 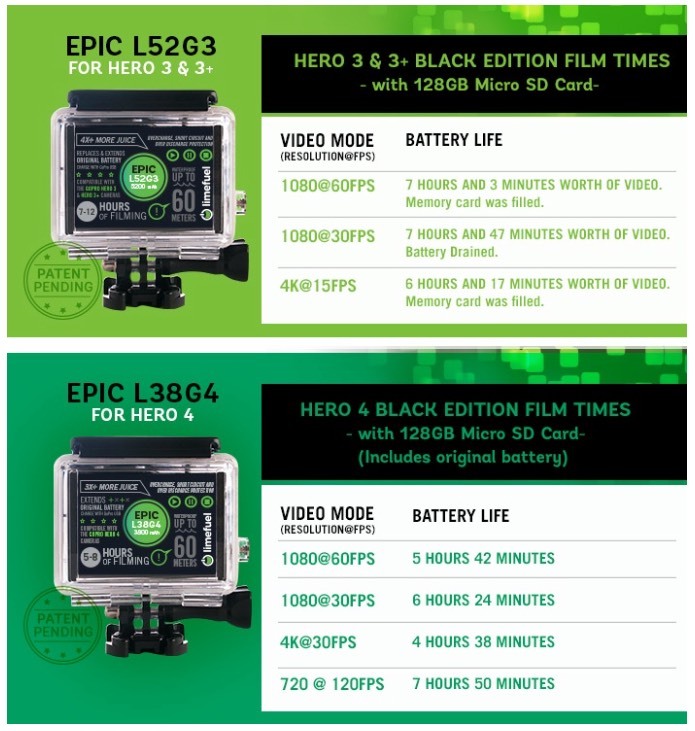 The new additions take the form of the Limefuel Epic L52G3 designed for the GoPro 3 and 3+ and the Limefuel Epic L38G4 that as you might have already guessed has been created for the GoPro Hero 4 action camera. “Each battery in the Epic Series is simple to use. 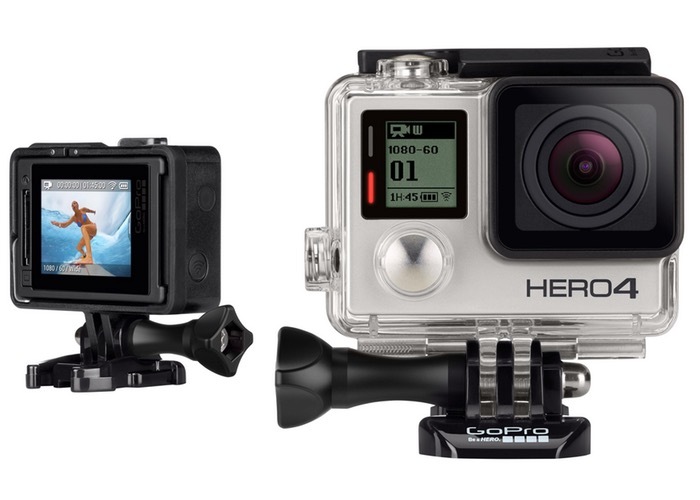 The L38G4 and L52G3 easily fit into the GoPro battery slot, replacing the original battery and extending battery life. The L38G4 and L52G3 are charged through the GoPro camera via USB, as you would charge the original battery. The Epic L38G4 and L52G3 will include two waterproof extended back covers (safe to 131’/40M and 197’/60M) to keep both battery and camera secure while filming. As with all Limefuel batteries, the Epic Series is made with high quality components and circuitry providing protection against overcharge, short circuit and over discharge. The Limefuel GoPro extended battery packs project is currently over on the Kickstarter crowd funding website looking to raise pledges. So if you think the Limefuel GoPro extended battery packs are something your action camera photography could benefit from, visit the Kickstarter website now via the link below.